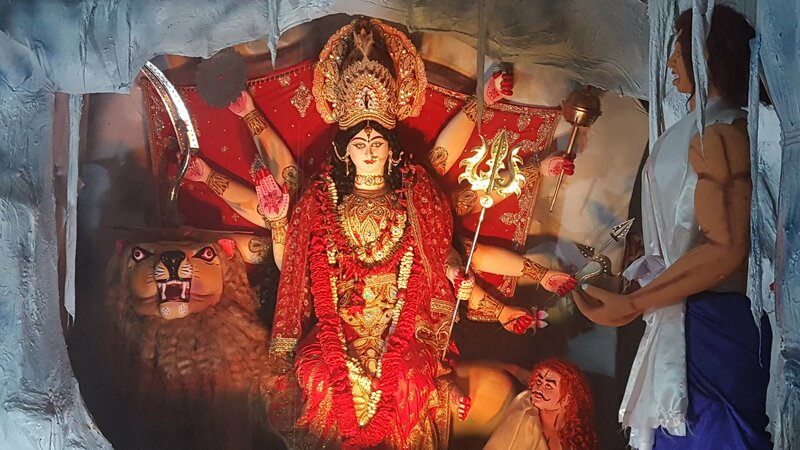 Durga puja is happening in the temples. Puja pandals are ready for the fair. This time we will see unique designs of puja pandals. The nagar Nigam has made the city clean and in Election blow roads have been made all tight.